You can literally picnic anywhere on Dartmoor whilst enjoying the very best of everything the Dartmoor National Park has to offer – wide open spaces, babbling brooks, stunning scenery and picturesque villages. 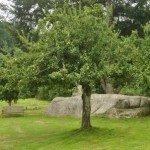 However, we thought we’d share a few of our favourite picnic beauty spots with you to get you started ……..
Lustleigh’s pretty orchard is the perfect spot for a picnic with its safe play park, a stream for paddling and picnic tables. The orchard was kindly given to the village in 1966 by Mrs Bennett. The orchard also hosts the annual May Day celebrations including the crowning on the May Queen. The stone throne on top of May Queen’s Rock adds a sense of fantasy and adventure for the young. Instead of a picnic, you could grab a ‘take away’ cream tea with homemade scones and locally sourced clotted cream from The Dairy (local store) on your way to the Orchard. 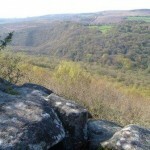 Put on your walking boots and enjoy your picnic in and around Lustleigh Cleave, a special area of conservation. Picnicking on the ridge will give magnificent views across the deep wooded valley to Easdon Down, Hayne Down and Trendlebere Down – the landscape is simply stunning. 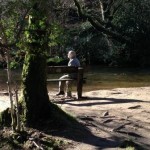 Alternatively, take your picnic somewhere along the tranquil wooded banks of the River Bovey. The beautiful boulder strewn waterfall known as Horsham Steps gives a magical feel whereas Hisley Bridge transports you back in time. Our favourite spot is Foxworthy Bridge at the end of the Cleave. 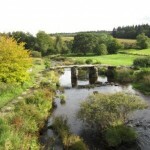 This is a beautiful National Trust site on the very edge of Dartmoor and is home to the Dartmoor National Park Authority. There is something for the whole family at Parke, which was once the home of a wealthy local family. Take a gentle stroll around the garden, enjoy a spot of tree climbing in the woodlands whilst walking along the river to the medieval weir. 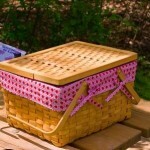 There’s plenty of lovely, secluded spots to enjoy a picnic. Spitchwick, formed by the beautiful banks of the River Dart, lies about a mile past Poundsgate, heading towards Ashburton. With plenty of open spaces for ball games and a variety of scenic spots for dipping and playing in the cool river on hot days, Spitchwick is a very popular spot for family picnics and barbeques. You’ll find free parking at Newbridge and alongside Spitchwick Common. Dartmoor’s most iconic tor offers easy parking and a range of picnic options, all with fantastic views across the moor and to the coast. There are plenty of rocky outcrops and short grass surrounding the tor providing perfect spots for a picnic. 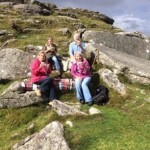 Whereas the more adventurous could picnic on the tor itself to get the best of the views. With easy access and close proximity to the visitor’s car park, the banks of the River Dart next to the 12th century Clapper Bridge is a great spot for a picnic with a sense of ancient history. 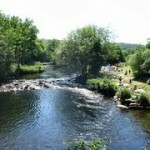 It also offers a range of riverside and woodland walks to build an appetite. A mere 10 minute drive will take you to the beautiful Trenchford Reservoir surrounded by forest, farmland and rhododendrons. 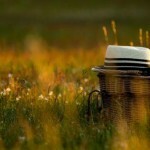 Trenchford is breathtaking and offers a peaceful retreat for a picnic. In addition there are many walks clearly signposted from the car park that will meander you through the woodland or along the lake to 2 further lakes: Kennick & Tottiford. Why not work up an appetite before your picnic with a spot of fishing – Kennick is great for rainbow trout. 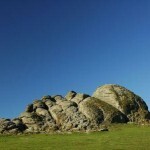 A picnic on Buckland Beacon not only gives fantastic views of Holne Chase, its wooded surrounds and Aish Tor in the distance, it also ticks off one of the Dartmoor must see’s, the Ten Commandment Stones. Best of all it is an easy walk of less than a kilometre from the parking area on the road. 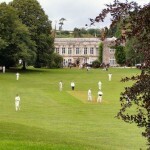 It’s also short drive to Buckland in the Moor, considered one of Devon’s dream villages. 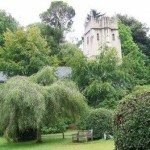 If you’re planning a visit to Torbay, the charming village of Cockington is a beautiful spot for a picnic as well as a day out. At its centre you’ll find a collection of thatched cottages, a water mill and an old forge. Legend has it that George Washington’s great grandfather was a young apprentice at the forge before running off to America. Walk past the forge and watermill towards the Manor House where you’ll find a fantastic green on which to picnic. 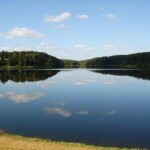 Alternatively you may prefer to explore the 460 acres of country park and gardens for a more secluded spot. If you want a picnic with a difference why not take up our Dartmoor Cream Tea Challenge whilst holidaying in Lustleigh at our Holiday Cottage.